Thank you for visiting our website. 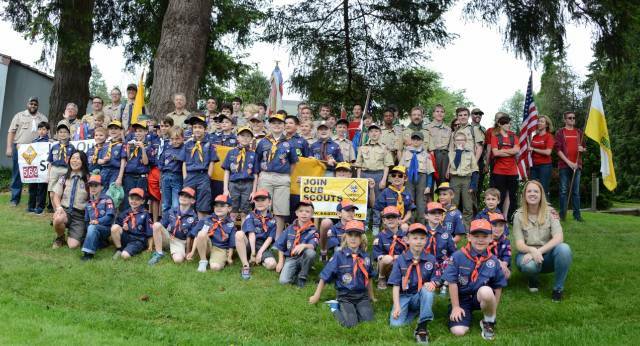 Cub Scout Pack 568 is located in Duvall, Washington. We are chartered by Holy Innocents Catholic Church, and we are part of the North Lakes District within the Chief Seattle Council. Please read through the questions and answers below to learn more about us. You can reach us at recruiting@pack568.org. Q1. What is Cub Scouts? A1. 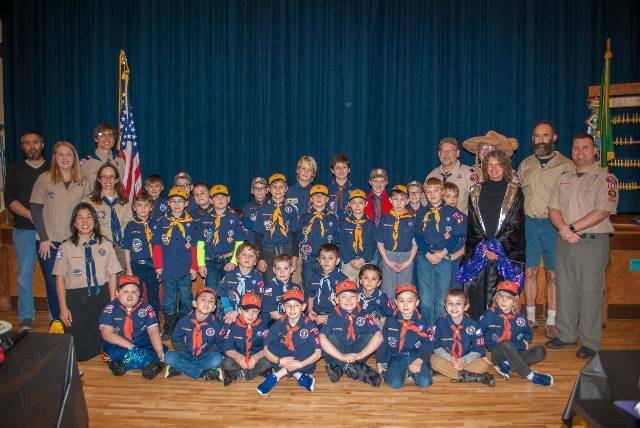 Cub Scouts is a year-round part of the Boy Scouts of America (“BSA”) program designed for children who are in or entering first through fifth grades. Parents and leaders work together to achieve the purposes of Cub Scouting. Q2. 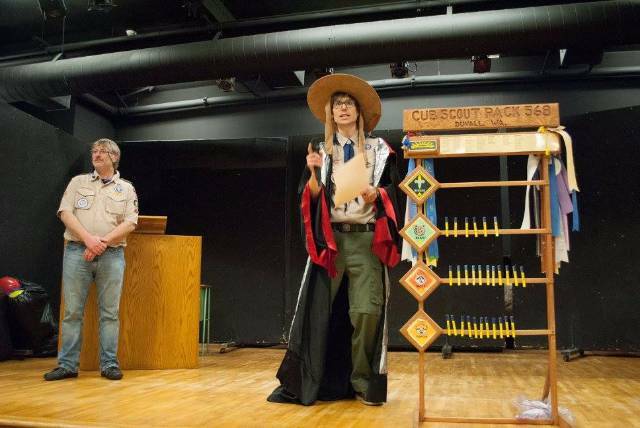 What are the purposes of Cub Scouting? Q3: How do I sign-up? A3: You are welcome to sign-up/register at any time. Complete the form online at https://my.bsa.us/609paa0568mb. Once you register, you will be assigned a username and password and your scout will be added to the appropriate den. You will have access to our calendar and will start receiving Pack 568 and den emails. Q4: What is a den and what is a pack? A4: A pack is made up of several dens. 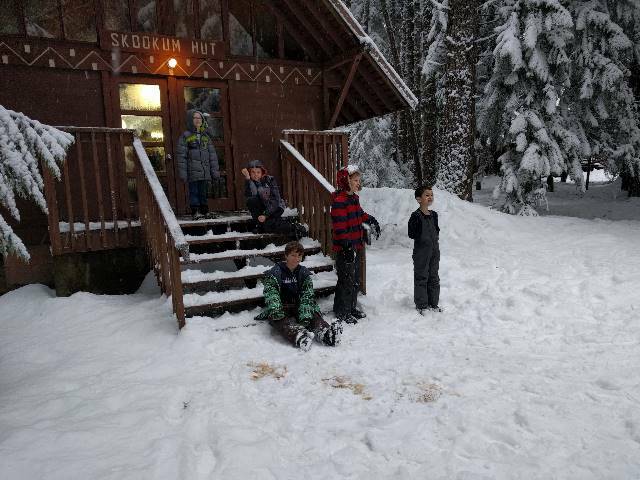 Pack 568 currently has five dens (Tigers – 1st grade, Wolves – 2nd grade, Bears - 3rd grade, Webelos I – 4th grade, and Arrow of Light – 5th grade). Q5: What is the time commitment for Cub Scouts? A5: That’s a great question. We gather together as a pack once a month & the whole family is welcome to attend our pack meetings. Our dens typically meet 1 – 2 times per month. The den leaders set the meeting schedule. 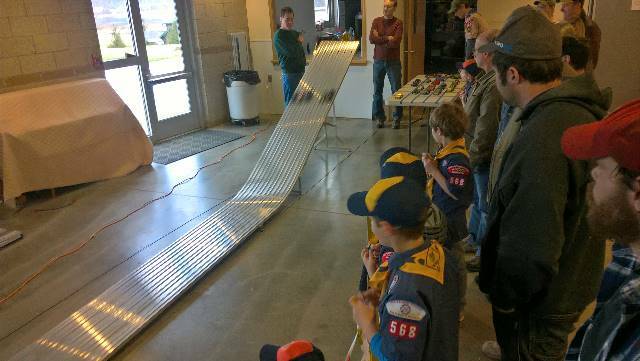 For example, our Tiger and Webelos I dens meet on the fourth Monday evening of each month. Q6: What kinds of things will we do in Cub Scouts? A6: Our pack calendar of events include a lot of fun: Dodge Ball, Corn Maze, Space Rocket Derby, Broom Ball, Pinewood Derby, STEM night, Blue & Gold Ceremony, Crossover Ceremony, Rocket Launching, and Cub Mobile Racing. In addition to fun, we’ll also participate in service projects including a service day at the church, a Memorial Day ceremony, and walk in the Duvall Days Parade. During den meetings, your scout will work on adventures to earn their badge. Each adventure has certain requirements that need to be met – some of these you can do at home, and some will be completed at den meetings. Q7: How much does Scouting cost? A7: Our annual membership fee is $90. In addition to this, you will purchase your scout’s book, neckerchief, and slide. If you are new to scouting, you will also purchase a scout uniform (shirt). Q8: How much are parents required to participate? A8: Many hands make light work. We encourage each family to have an active adult serving within the pack. You can serve by holding a leadership position or by being active in our parent committee. Parent committee meetings are held the first Monday of each month from 7:30 – 9 p.m. There are numerous opportunities to serve, and we can help you find an area that interests you. We are currently looking to fill the following positions: administrative assistant, camping chair, and public relations. You can also sign up to volunteer at specific Pack 568 events. Q9: Are there a lot of fundraising events? A9: No. Our main fundraiser each year is selling popcorn in the fall. Your scout can earn camp scholarships by reaching certain sales milestones. In the winter, we also recycle Christmas trees as a joint effort with three other groups. One of my favorite Pack events is next month Model Rockets! This years blast off is on May 18th 10-12 @ Carnation Farms. You'll get to blast off your Rocket on the Pack's 4 Rocket Launch Pad! The Pack will only have the popular standard Rocket Fuel available: A8-3, B6-4, C6-3, C6-5. If your Rocket doesn't take one of those fuels, please bring the appropriate fuel along. You can get ready made kits, intermediate and advanced kits localy at Hobby Town in Redmond or online on Amazon. This is also a great event to invite a friend too and introduce them to Scouting. The Pack will have 4 Rockets on hand for anyone to use. This is the summer event you'll want to attend with your Scout. Cub Scout Resident Summer Camp is one of the higlights of the year. Your Scout will have the opprotunity to work on their next rank advancements and will have so many unique experiences. The Pack will attend Session 6 (August 15-18) this year. The details are below, you can even put down a deposit and pay the rest later. Choose the non-group registration option when registering. Calling all brave knights! Mount your trusty steeds and journey to Camp Excalibur at Camp Edward! During this medieval-themed camp, Scouts from Tigers to Webelos participate in activities such as archery, BB guns, nature hikes, crafts, swimming and boating. Also, as a part of the camp program, Scouts can earn advancements in line with the newly revised achievements. We welcome girl Cubs and their parents too! Eight large campsites have 2-person tents (or you can bring your own), some also include cabins with bunks that each sleep 8. They share two restroom facilities buildings with private showers. Highlights include climbing tower, a mine to explore, and Cub World featuring a fort and nature activity. All meals are served in the beautifully remodeled dining hall. Your pack can sign up as a group or have its families register individually. Either way, they will be grouped in the same campsite. Scouts must be accompanied by a parent/guardian if without their pack, or may attend alone with their pack or den with adequate adult supervision. In either case, we ask that Tigers be accompanied by a parent/guardian. In "Camp Edwards Campsite Request (Optional)" choose: Medicine Pipe, Appaloosa, Buffalo Surround. These all have cabins and are close to bathrooms. Minimum $20 per person nonrefundable deposit required. Each Den will be working on STEM related rank electives, please ask your Den Leader if they need any help. Each Den will be provided snacks. Have some free time this Springbreak Sunday, this is an awesome local event! Calling ALL CUBS and families interested in Scouting: The Annual Fish Drop at Mountain Meadows is next Sunday!! WHAT: The Fish Drop is especially for the little kids! 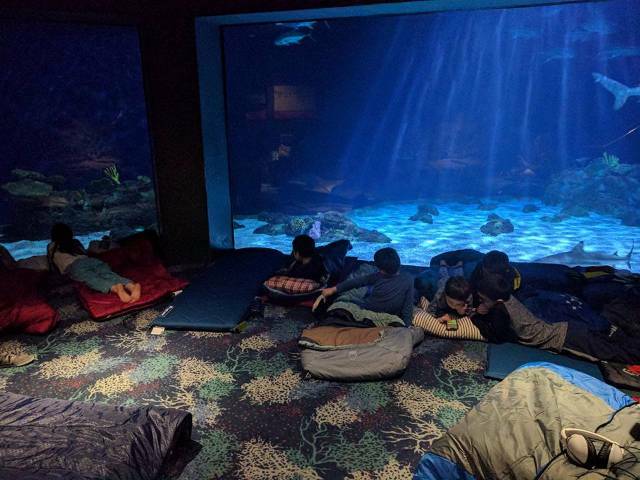 We have an active “Catch & Release” program for Boy Scouts and Cub Scouts. The purpose of the “Fish Drop” is to stock the pond with beautiful Rainbow Trout in time for our Annual BOY SCOUT Merit Badge Weekend. The drop itself will only last about an hour, but please stay and enjoy a campfire and some Chili & Hot Dogs. We are asking that you bring your own beverages. PARKING: Stay on gravel. Do Not drive on the lawn. Opposing traffic coming down hill; Car coming down has right of way. Shoulders may be soft, so stay on the gravel road. This is important. If you get too close to the edge of the road; You may go over the cliff! Pay attention to the “Parking Crew”! Best advice: Drive safe, Park and enjoy the fun! Bring your camera! NOTE: If you plan to come; Please RSVP with an approximate number of people/kids. Your donations will be appreciated, but are totally voluntary. Thanks! Owner & Camp Director ~ Mountain Meadows of Duvall Annual "Fish Drop" at Noon (12 to 3) on Sunday APR 7th, 2019! This is a 100% Scouting "Family" event! "Kiss a Fish"! RSVP!!! Don't be late! Bring the kids! We will have Hotdogs & Chili! Your donations will help pay for the fish. Next Pack Committee meeting is 4/1 7:30p.m. @ Holy Innocents. Thanks everyone for participating in Scouting for Food this year. We raised $455.45 in donations to the Holy Innocents Food Bank and 16+ shopping carts worth of food. Check out some pictures from the event on Facebook: https://www.facebook.com/media/set/?set=oa.2852345128324435&type=3.